The average modern-day buyer is more self-educated than ever before. According to a Forrester report, 59% of buyers prefer to do their own research online instead of interacting with a sales rep. As a result, it’s harder for reps to attract new prospects, making the lead generation process more time-consuming and manually demanding for busy sales teams. Even if your sales team is outsourcing lead generation, they may well be responsible for qualifying these leads, which still demands time and effort. The real challenge is connecting with and convincing not only your main contacts, but the other stakeholders at the business to adopt the solution you offer. Leadfeeder’s new Automation feature can save your sales team time that would have otherwise been spent prospecting, qualifying leads and defining their actions schedule. Visitors to a website rarely fill out forms, sign up to emails or give out personal information, which is why cold-calling is a staple of a salesperson’s day. So many potential customers are visiting your site and leaving without sales or marketing really knowing their intent. Like a tree falling alone in the forest, if no one knows about it, does it really matter—or did it even happen? But there is a way to turn these visitors into qualified leads! Leadfeeder is a website visitor analytics tool; a robust solution that helps sales and marketing teams align. Not only can you identify companies that visit your website and turn those anonymous prospects into qualified leads, but with Leadfeeder you also get CRM and marketing tool integration possibilities, helping you manage a sales pipeline and monitor the performance of your site and email content. It also feeds high-level behavioral data directly into your CRM to make lead generation processes automated, efficient and effective. Basically, Leadfeeder gives those working in sales or lead generation the ability to filter out the noise by understanding onsite behavior, and enables them to react. Top-rated in Pipedrive’s app marketplace, Leadfeeder is unique due to its partnership with Google. It taps into your website’s Google Analytics account to show you real companies visiting your website, and its additional integration with LinkedIn Sales Navigator affords customers the opportunity to discover who exactly that visitor could be and helps you make a connection. 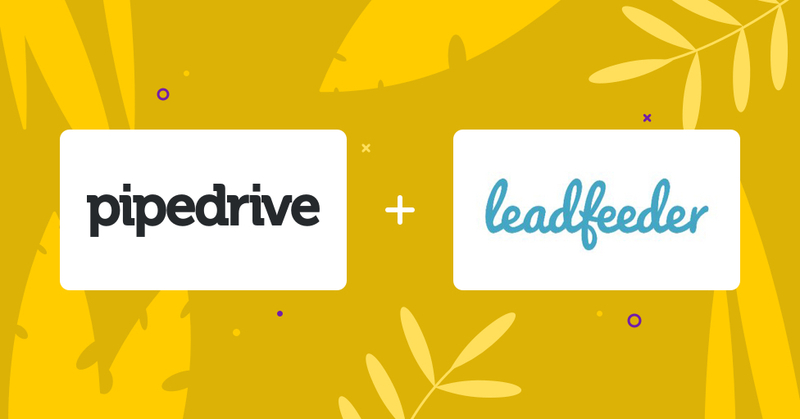 Leadfeeder connects the website visitor information from your site to existing Pipedrive Organizations and Deals, which creates visit information as featured notes within your Pipedrive CRM. 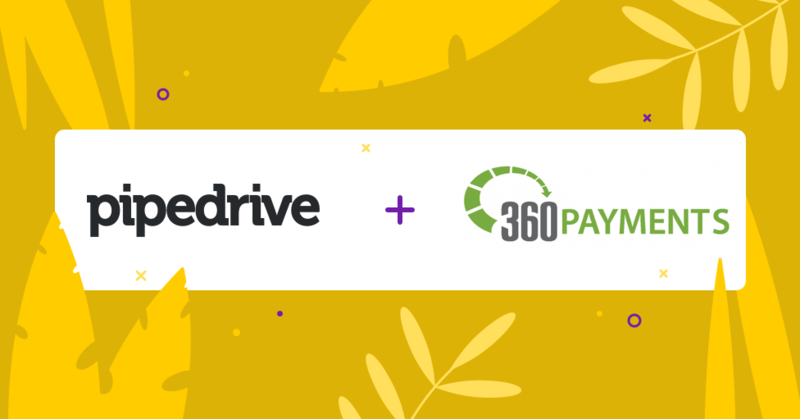 Leadfeeder is also launching a new and exciting automation feature for Pipedrive. Before this new feature, Leadfeeder could only connect website visit information to existing Pipedrive Organizations and Deals, adding this detailed website visitor information as Featured Notes in Pipedrive. Imagine a case where a salesperson from, for example, ABC Consultancy is responsible for selling consultancy solutions to US-based small- and medium-sized enterprises (SMEs) in the Information and Communications Technology industry (ICT). ABC Consultancy has a lead generation team comprised of marketers who have created acquisition-focused landing pages to encourage prospects to visit the site, thereby spending their marketing budget on different channels. The targeted prospects from relevant SME ICT industry companies visit these landing pages, but only 2% of these visitors respond to the call-to-actions on these pages, such as filling in the email forms or responding to the triggered chatbot conversations, thereby becoming an actual lead… Now what? For a salesperson, it would be extremely helpful to know that three different individuals from a targeted company have visited the landing page, and other content on the website, despite not filling in the form. However, the salesperson, focused on hitting their sales goals, is unlikely to have access to a tool that yields this online information—or even time to dig around the web to uncover more information. Improve customer acquisition. Discover new prospects as the feature automatically fills in the sales pipeline according to the preferences you use to qualify leads. Create upselling opportunities. Upsell and/or follow-up activity is sent automatically to you if there’s no scheduled follow-up already fed scheduled in the pipeline. To take full advantage of Leadfeeder’s functionality, you first need to define what type of website visitors you are interested in using ‘Filters’. For example, companies from the geographical territory you’re responsible for, and those territories you may move into in the future. If employees from one of these companies have visited your site X amount of times and browsed one of your key pages—such as the pricing and/or contact pages—then it’s definitely something a salesperson would be interested in. Once a week for the past week’s website visitors. Once a day for the past day’s visitors. Or any time Leadfeeder identifies new visiting companies that fit the profile you defined in the first step. By automatically funneling leads to the right sales people, the new Leadfeeder Automation feature, paired with a CRM like Pipedrive, will save you a considerable amount of time. Not only will they have their actions schedule already set, they’ll also have far less prospecting to do, as the leads will have already been qualified. 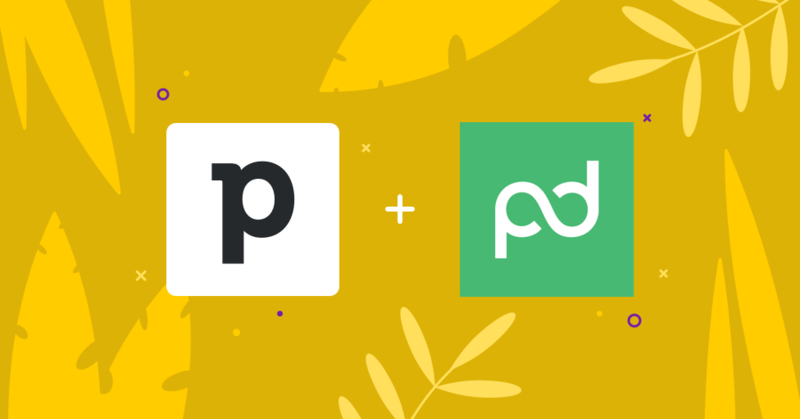 "We see that marketing and sales alignment is moving from one SaaS-service towards platform economy solutions, where we identify tools for our needs and glue them together to work smoothly. For our growth, it’s crucial to keep the sales people up-to-date with existing clients' online behaviour. With the new Leadfeeder automation, our sales people doesn't miss any relevant sales signals our clients conduct online, but get notified about them within their Pipedrive activity lists." For more information and to try it for yourself, visit the Leadfeeder App at Pipedrive’ marketplace. Leadfeeder also offers a Free Premium Subscription Trial for 14 days.